House Democratic leaders are seeking to unify splintering factions of their caucus after an embarrassing failure to reach a deal on basic numbers governing the nation’s budget. Democrats launched their annual policy retreat in Northern Virginia on Wednesday, giving the caucus time away from the Washington spotlight to try to bridge differences between liberals demanding more social spending and centrists worried about skyrocketing deficits. The divide is one that is characterizing this Democratic majority, which includes centrists fighting to retain red-leaning swing districts and liberals who rode a wave of progressive energy to victory and are demanding more significant changes in Washington. The delay of the budget caps deal vote was a blow to party leaders just as they headed into their three-day caucus getaway — an event designed to highlight Democratic unity 100 days into the new Congress. Rep. Wm. Lacy Clay (D-Mo.) said he was surprised the caucus is having so much trouble uniting behind budget issues and warned that a failure to coalesce on big-ticket items like government spending could cost the Democrats their newly won majority. “I know that we have divergent views in our caucus, but I hope that the lesson on our side is that when we leave that caucus room we need to be united [and] we need to be able to muster 218 votes in order for our agenda to keep progressing,” Clay said. “That’s how we won the majority — because we were united, because we had a unifying message that addressed the American public’s needs. And if we lose sight of that, then we will be doomed,” Clay added. House Budget Committee Chairman John Yarmuth (D-Ky.) said the infighting was just part of the process for a party coming in from the cold of the minority. “We have growing pains with the caucus, with two-thirds of them, roughly, who have never been in the majority, and 70 percent of our new members have never been in office,” he said. “I’m happy we have a diverse caucus, and I think as time goes on people will understand that you take something that you like and not demand everything you like. So I’m not worried, long term,” he added. Members of the Progressive Caucus, who helped sink the budget cap deal over demands to further increase nondefense spending, defended their approach, saying the appearance of a fractured party was less important than having their voices heard within the caucus. 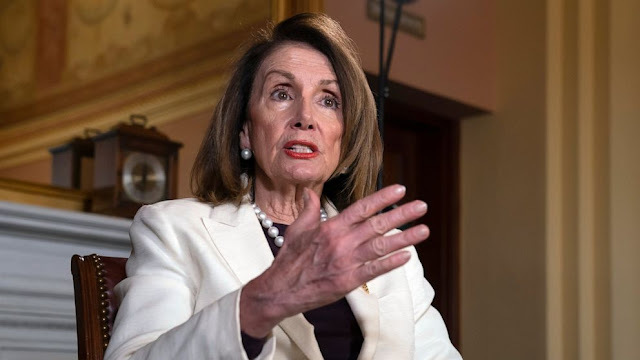 “I don’t really care what we look like, the more important part is how we act, and I think if this is one of the early lessons we need to have learned moving forward, that’s a good thing,” said Rep. Mark Pocan (D-Wis.), a co-chairman of the Progressive Caucus. The main goal, Pocan said, was to get the attention of the party’s leadership and ensure the progressives had a seat at the table. Blue Dog Democrats, concerned with increasing deficits, said they also hoped to get more attention from leadership. On Wednesday, the Treasury Department released data showing that the budget deficit had reached $691 billion in the first half of 2019, larger than the entire annual deficit in 2015, 2016 and 2017. Several Blue Dogs on Tuesday voted against the rule for the caps bill, which put in place the legal basis for appropriators to start writing spending bills at the proposed spending level. Speaking to reporters at the posh Lansdowne Resort in Leesburg, Democratic leaders were quick to claim victory for that procedural maneuver as they downplayed the divisions that postponed a vote on a broader caps deal. “We did win. … We set the numbers for the Appropriations [Committee],” said House Majority Leader Steny Hoyer (D-Md. ), who predicted all 12 appropriations bills would be passed through the committee by the end of June. Hoyer said Democratic leaders could have passed the caps deal, had they pushed for it, but decided against that strategy after Senate Majority Leader Mitch McConnell (R-Ky.) announced he was working with Speaker Nancy Pelosi (D-Calif.) behind the scenes to secure a bipartisan two-year agreement. “At that point in time, we felt — the Speaker and I both felt —there was no point in going forward with a caps bill when we were going to have negotiations between the big four,” Hoyer said. Asked about the status of those negotiations, Pelosi said she’s confident Congress will come together to prevent another shutdown — if Trump agrees to sign the package. In the three months since taking the majority, House Democrats have, indeed, made good on a number of the campaign promises that won them the majority, passing a host of priorities that include new voting rights protections, tougher gun laws and new campaign finance limits. But most of those bills are dead-on-arrival in the Republican-controlled Senate, leaving some Democrats to voice concerns that the 116th Congress is shaping up to be heavy on messaging but lean on tangible accomplishments. Brown was alluding to the House Freedom Caucus, the conservative group that gave GOP leaders headaches by withholding key votes when Republicans controlled the House. Progressives, though, aren’t buying the comparisons to the Freedom Caucus. “Most of us in the Progressive Caucus and leadership believe in governance, and we don’t believe in obstructionism, and we understand the responsibility of moving things forward,” said Rep. Ro Khanna (D-Calif.), a leader in the Progressive Caucus. Progressives, Khanna said, voted “yes” on the caps rule that allowed appropriators to get to work on spending bills, despite their misgivings. It was the centrists, he added, who voted against it. Heading into the annual retreat, even those worried about the Democratic infighting said they’re confident the party will come together heading into the policy fights to come.